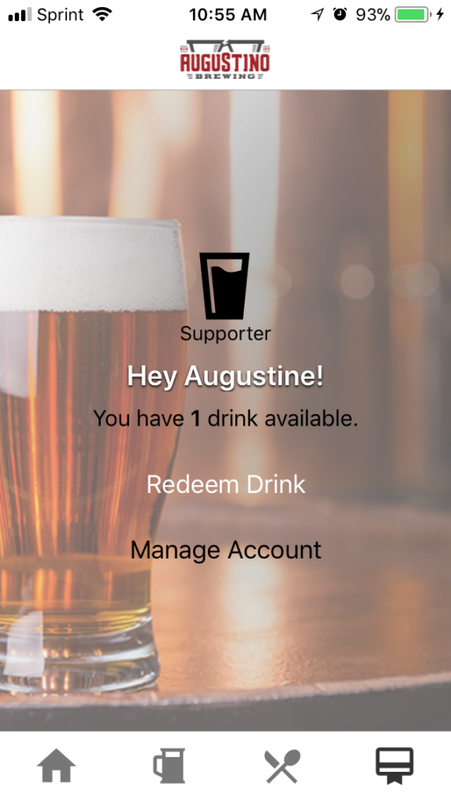 Download the Augustino Brewing Company App for iOS and Android. Open, thenÂ close, then reopen to be certain all push updates have loaded. 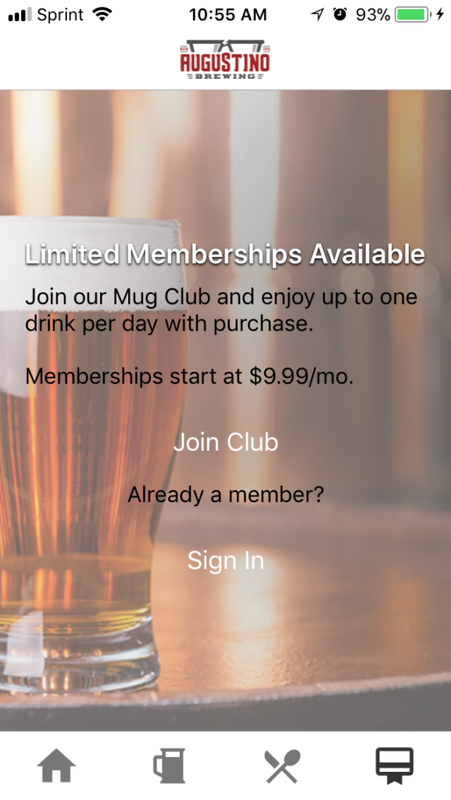 Swipe left to the Augustino Brewing Ultimate Mug Club signup screen and choose how much you wantÂ to save. You’ll save $10 at the Supporter Level or $125 at the Enthusiast or Connoisseur level… and that doesn’t include some of the additional discounts and events available exclusive to members. 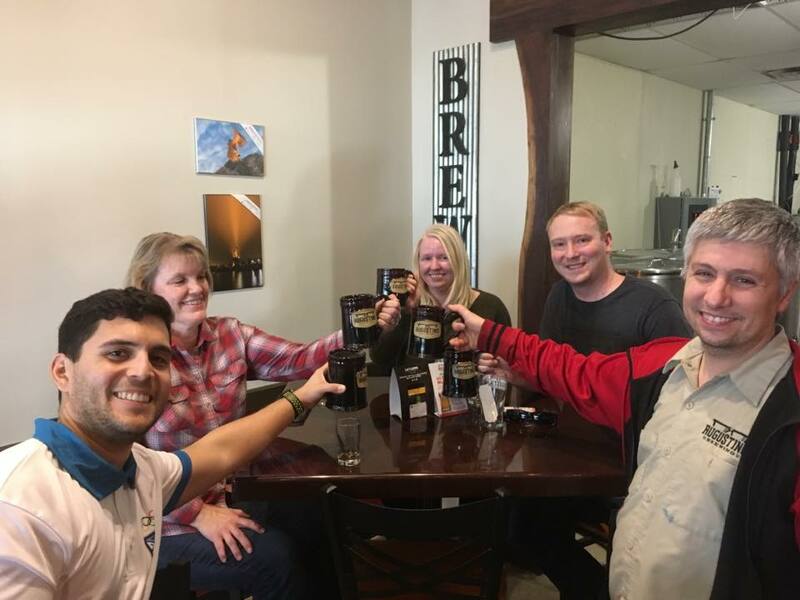 The next time you come into Augustino Brewing, just show off your app to your bartender or server, so they know you’re a member so you can redeem your included beers and make sure your drinks are served in our signature Augustino Brewing Co. Stoneware Mug. Celebrate your new superpower and rub in to your friends and family! Cheers!